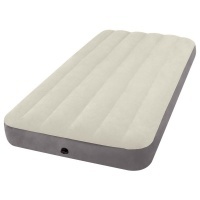 Intex Deluxe High Airbeds. 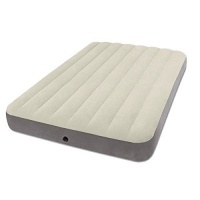 A new deluxe high airbed with Fiber-Tech inner construction that can be used both indoors and outdoors. 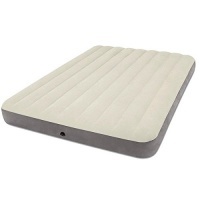 The perfect all-round sleeping solution, this compact airbed provides both campers and in-home users with the conveninec of a low profile, light weight, comfortable bed that is built for long lasting durability. 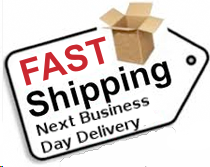 These airbeds are covered in a soft, flocked sleeping surface for enhanced comfort. Intex's patented Fiber-Tech interior construction provides superb support and structural stability for a restful nights sleep. Made for durability and comfort, anywhere you go.